Lorraine Cramb of REMAX Impact is delighted to bring to the market this wonderful property comprising, four bedrooms master en suite, living room, dining kitchen, utility room, office, double garage, private gardens, off street parking, direct access to Dollar academy playing fields, gas central heating and double glazing. 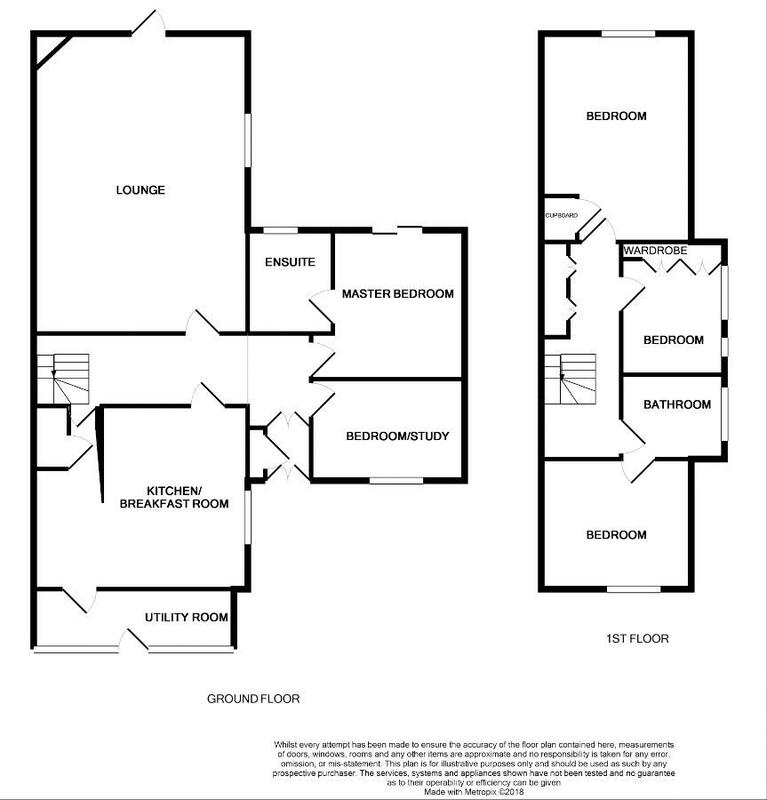 Use One Of RE/MAX Scotlands best selling Estate Agents offices, To make an appointment for a FREE valuation of your home, please call 01259 729686 . 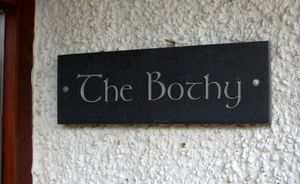 The property is entered though a glazed timber storm door into the vestibule with a tiles floor and cupboard for storing coats and shoes, a glazed door leads into the inner hall. The inner hall has varnished original wood flooring, spotlights and doors leading to the living room, dining kitchen, bedroom, office/bedroom 5 and a staircase to the upper floor. 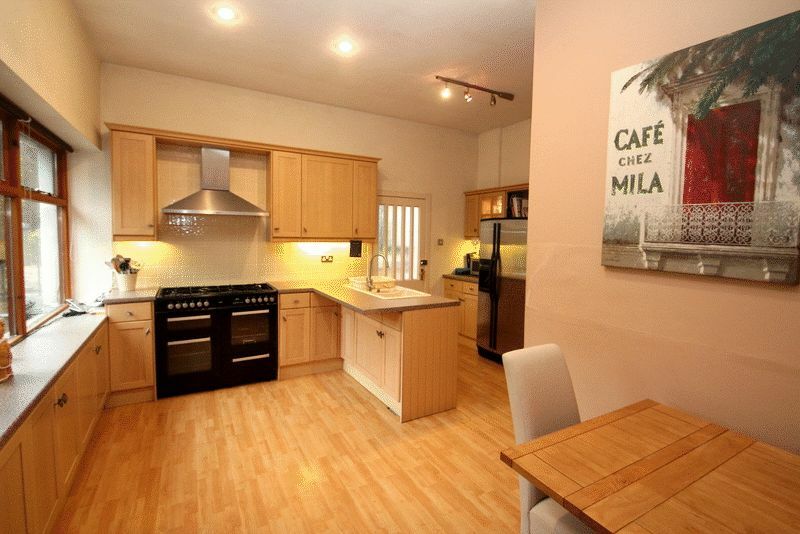 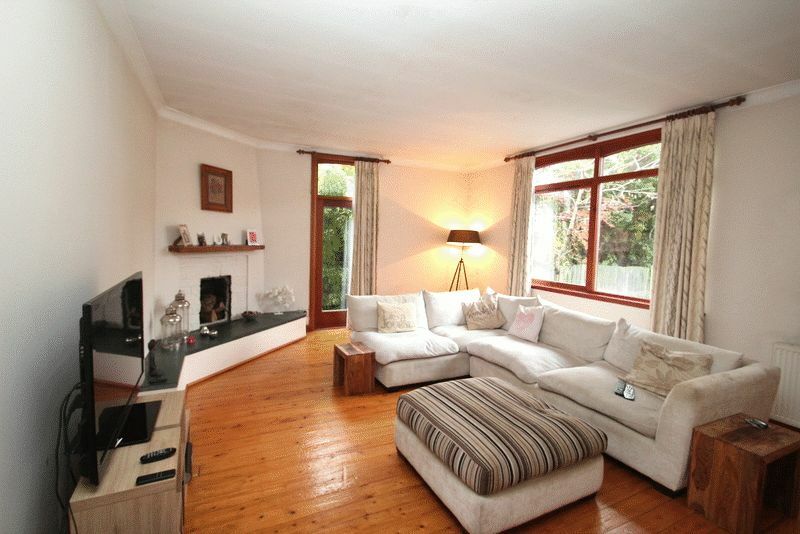 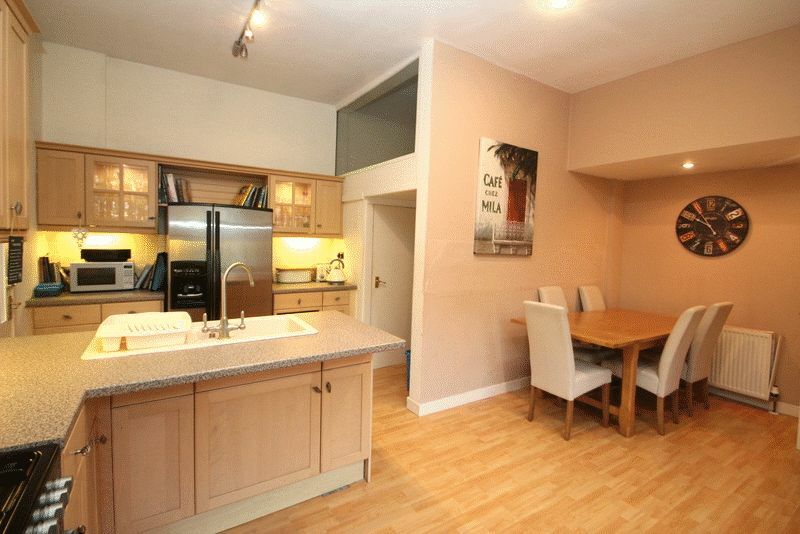 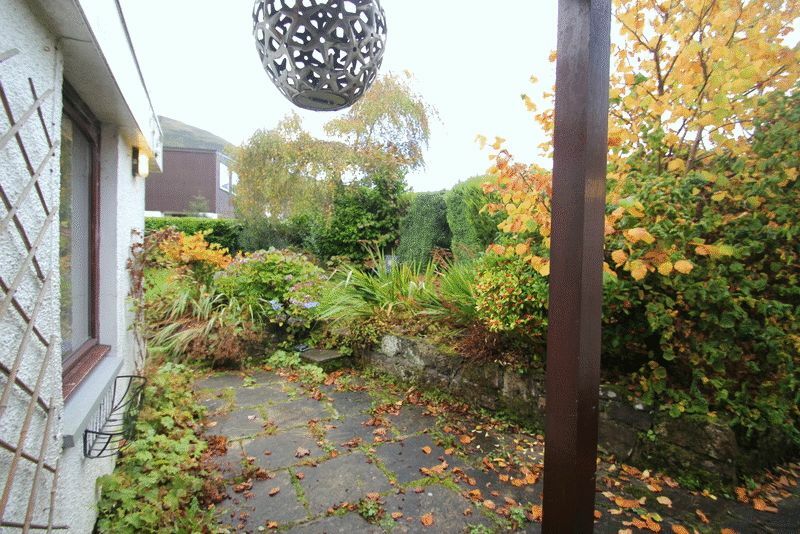 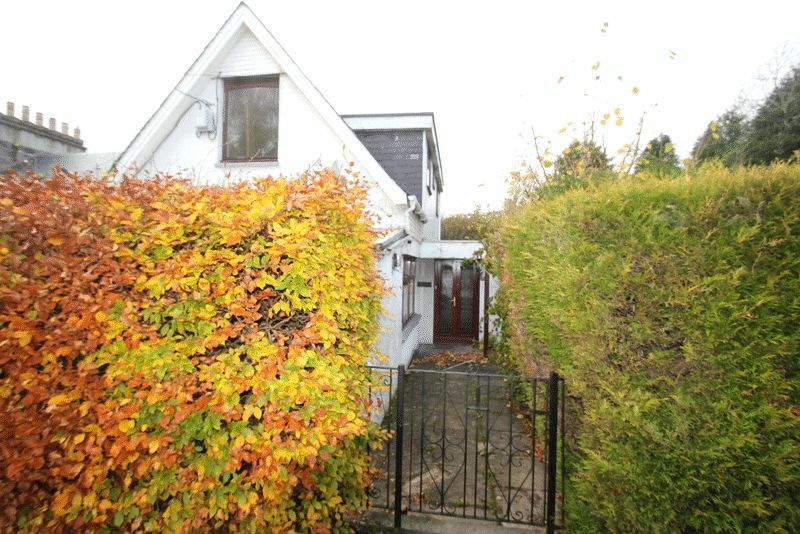 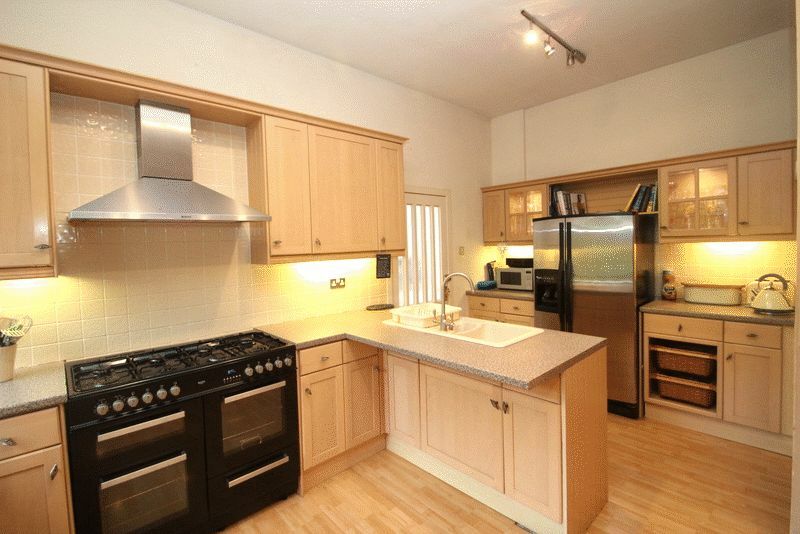 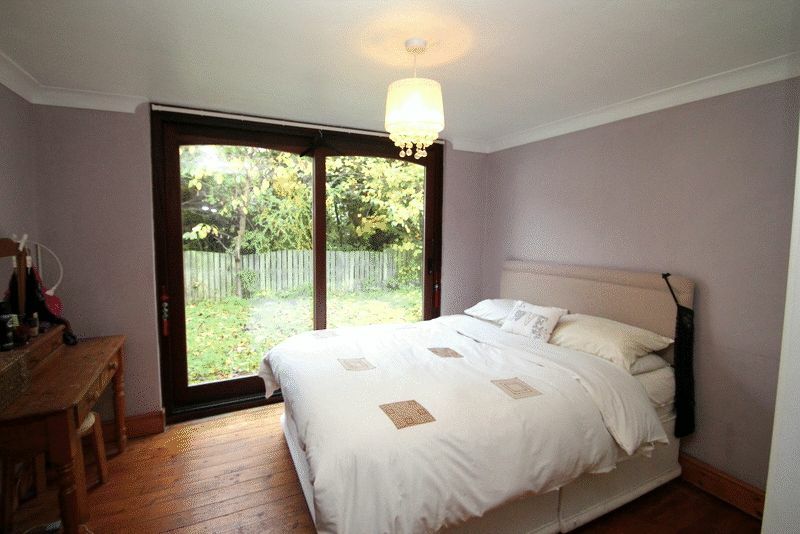 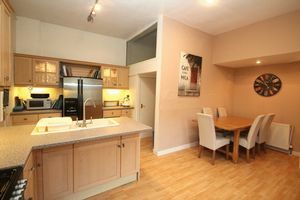 This well proportioned spacious room has wooden flooring, windows looking onto the garden. 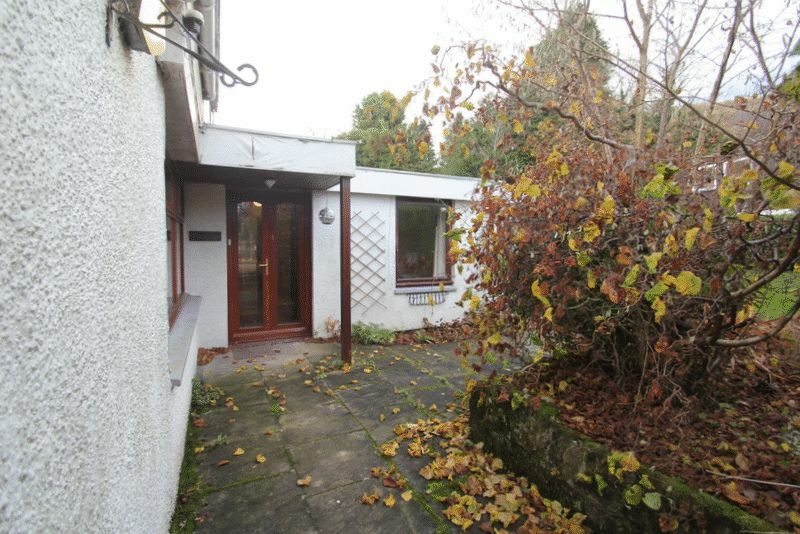 A glazed french door gives access to a enclosed patio area with a stream flowing beside it. The kitchen is fitted with a range of wall and floor mounted storage units and finished to a high specification including display cabinets with glazed doors and internal lighting as well as pelmet lighting above the high gloss granite effect work surfaces. Ample room for a large table and chairs. 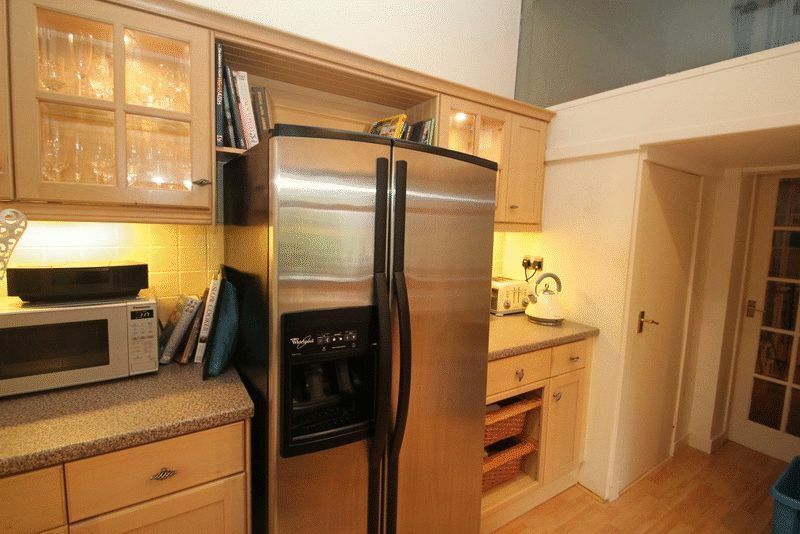 A larder style cupboard provides extra storage. Three windows look out over the garden and a glazed door leads into the utility room. 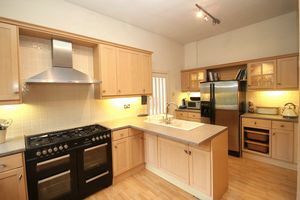 The utility room is located off the kitchen and houses the washing machine, it has floor and wall mounted units, a stainless steel sink and mixer tap. The central heating boiler is also housed it the utility room. The study/bedroom 5 has laminate flooring, a radiator, centre ceiling light and window overlooking the garden. The master bedroom has patio doors leading to the rear garden, room for free standing furniture, and access to the en suite. 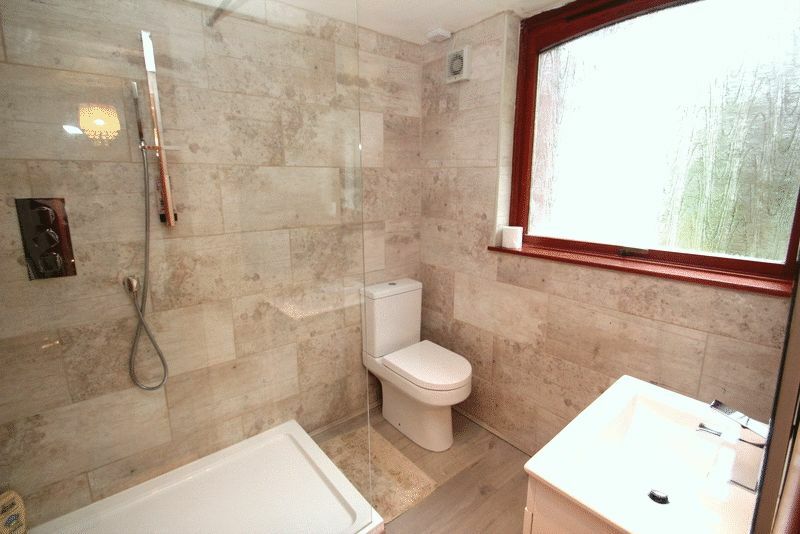 The ensuite has a walk in shower, wash hand basin and wc. The floors and walls are tiled. The upper landing has built in cupboards and gives access to the remaining three bedrooms and family bathroom. 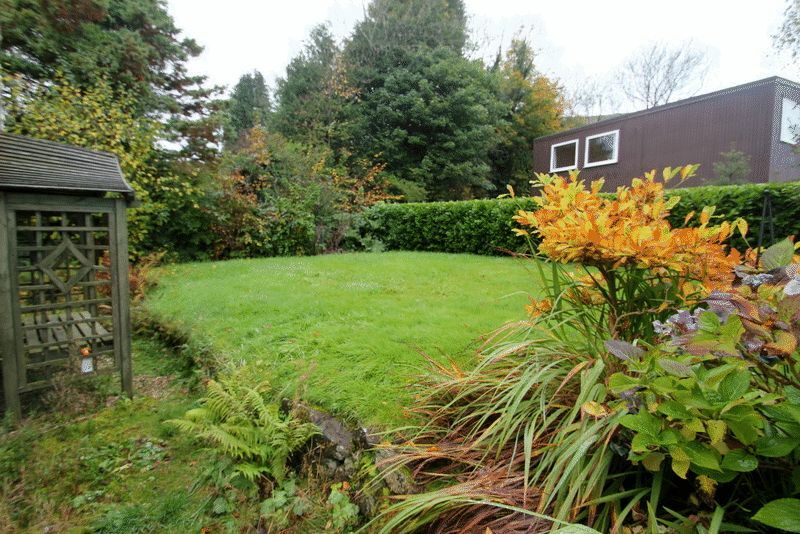 This double bedroom has built in wardrobes, a window overlooking the side of the property and a velux window giving views of the Ochil Hills. 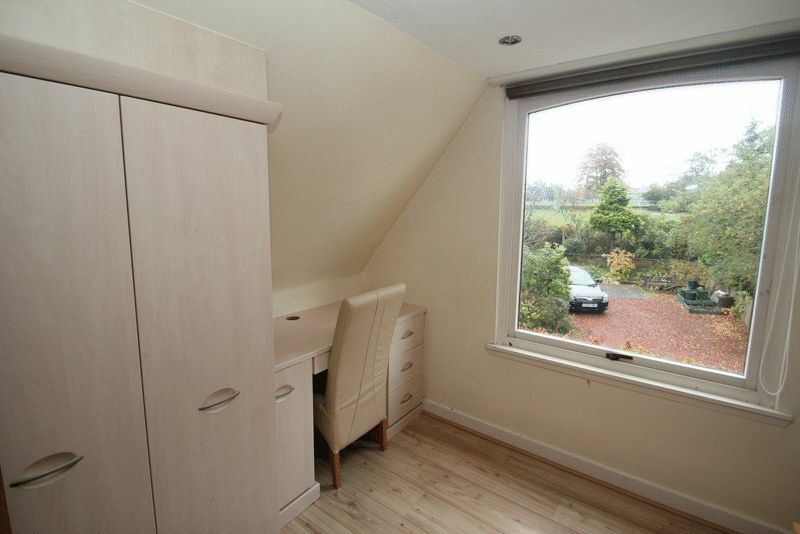 This bedroom has built in wardrobes and drawers, a window overlooking the garden with views of the Ochil hills. 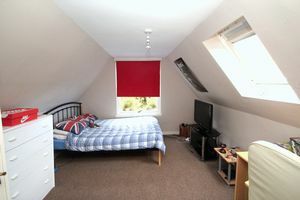 This single bedroom again has tastefully chosen built in furniture and a window looks out to Dollar Academy playing fields. Three piece bathroom suite consisting of toilet, wash hand basin and bath. 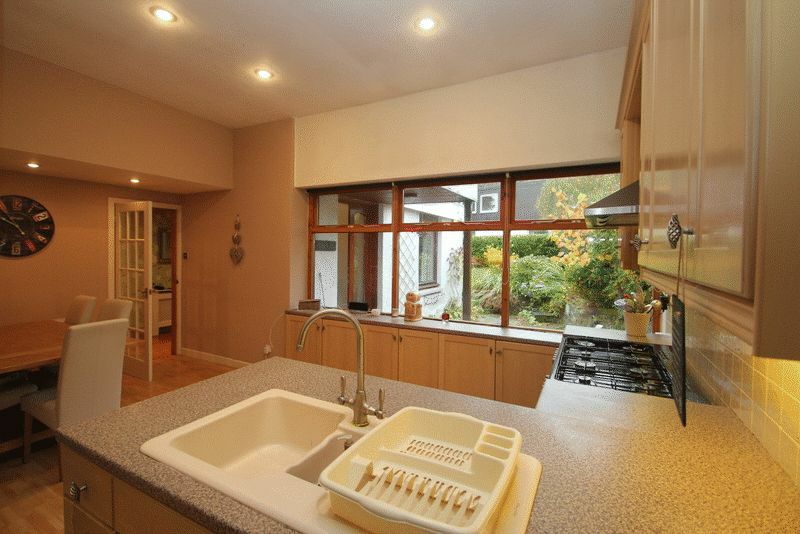 Splash back tiling. 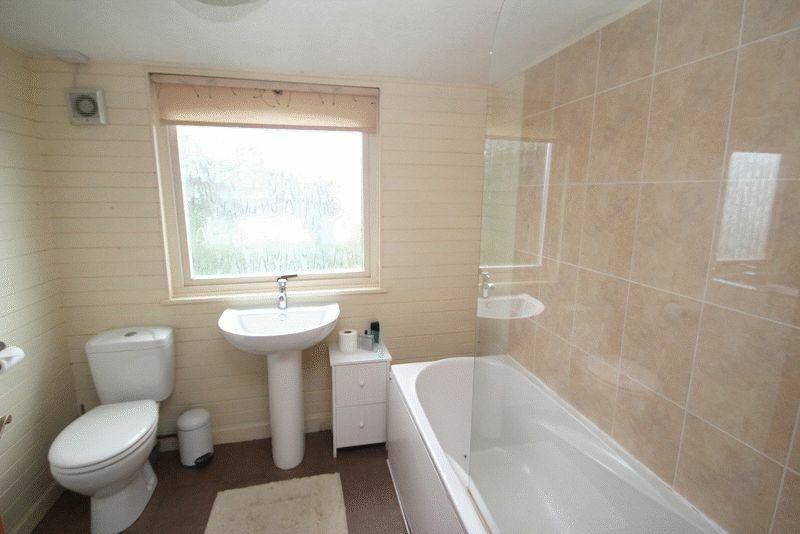 The floor is finished with a laminate and there is an over bath shower fitted. 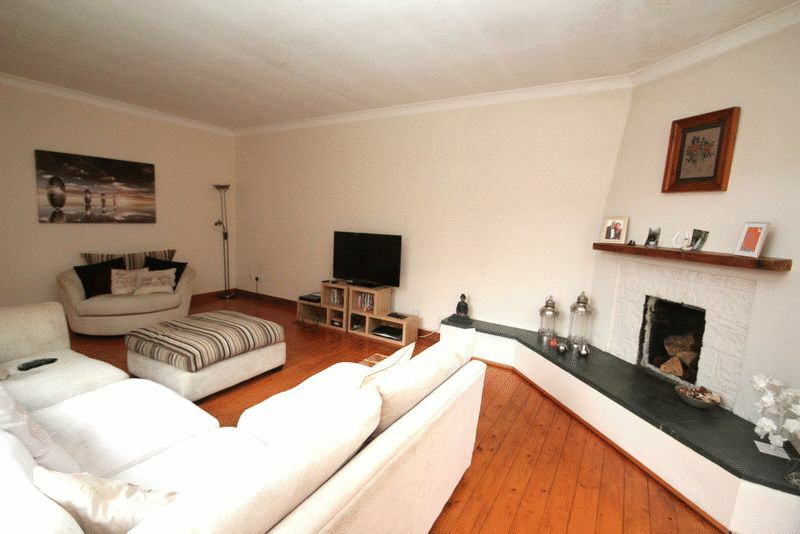 The property has a double garage with two up and over doors. 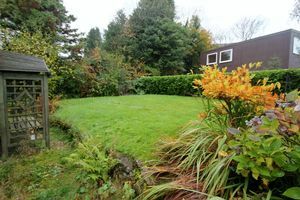 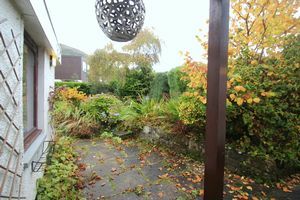 he property is surrounded by areas of garden including lawn, patio, flowers, shrubs and a private gate gives access to Dollar Academy playing fields.